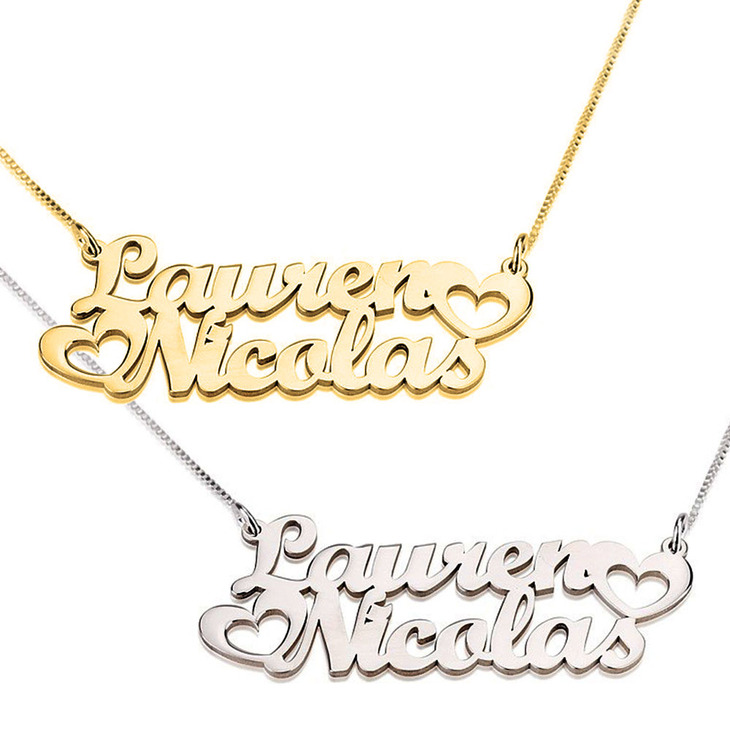 Two Name Necklaces are all the rage this season, the perfect romantic statement to say 'I love you' to someone special in your life. 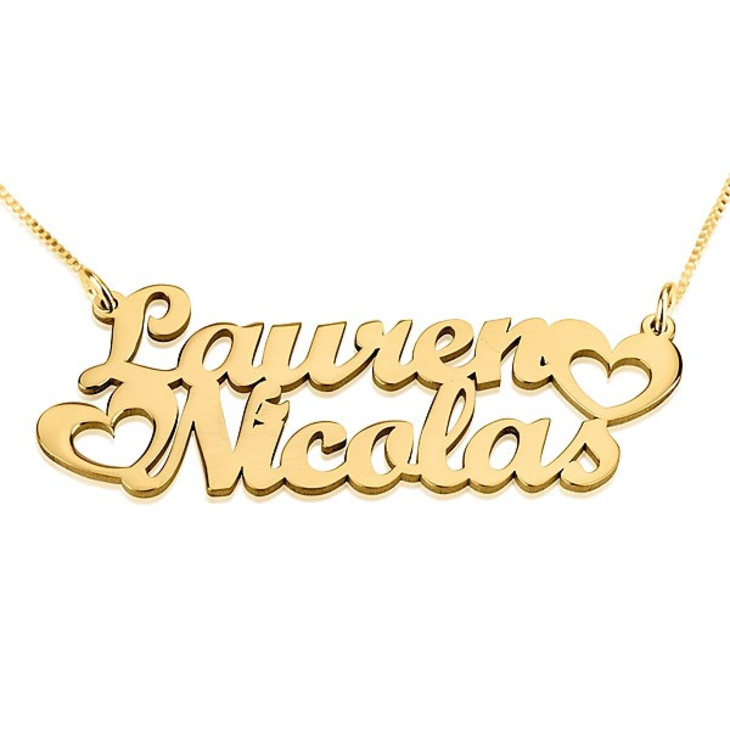 Whether this is a Valentine's or birthday gift, or a stunning way to treat yourself to an exquisite customized accessory, this two name necklace is a great way to carry the name of your special someone wherever you go. Available to customize in your choice of sterling silver, 24K gold or rose gold, you'll simply fall in love with this custom made pendant. Free Worldwide Shipping! Got the two name necklace for both my kids and it’s absolutely beautiful :) !! One Necklace was easy to work with, understood what I wanted, but still double checked my request. They did an excellent job and did it quickly. Such a beautiful and creative necklace! Got tons of compliments and it came super quick! Perfect Gift for my daughter she had wanted for quite some time and I was able to purchase and receive for her birthday. I loved the timeliness the packaging as a gift, pretty colors & cute little Birthday note. Everything was Perfect!!! My Mom loves her necklace. I used the 2 lines to have her nickname engraved on the necklace. The necklace arrived quickly. It is a lovely design and I am very pleased with the finished necklace. Thank you. Merveilleux,très beau en vrai et ça correspond exactement à ce qu’on voit sur ce site rien dire , je vous conseille fortement cet achat. I would highly recommend this necklace. It's beautiful and just as described. I absolutely love this necklace. I wear it every single day. I will be buying more soon! Great company! Very pleased with the quality of this necklace. I love my name plate necklace. I have gotten many compliments from friends and even people I do not know. I loved my necklace. 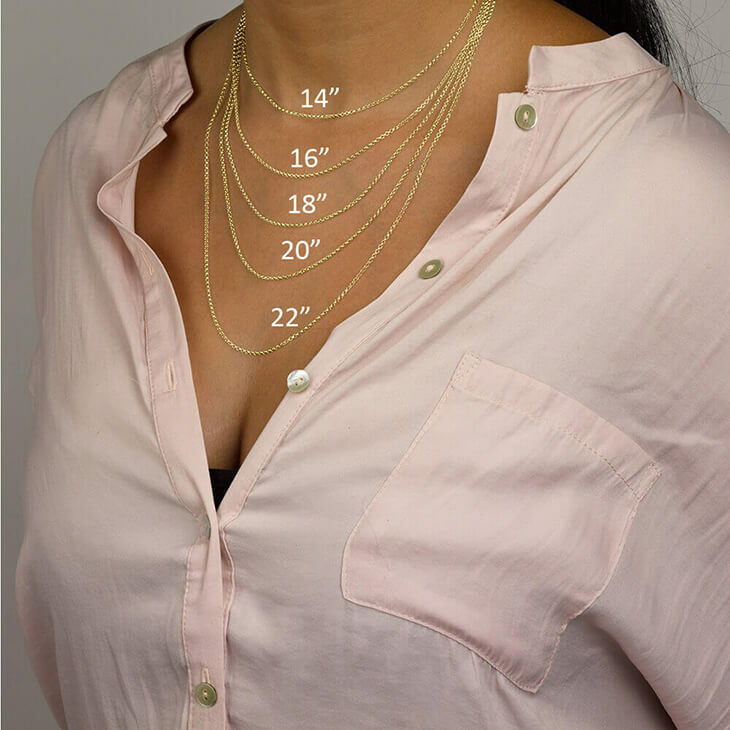 It's super cute, a little longer than the 18 inch chain seemes to be in the picture, but still cute! There were some scratches on the back, but not worth sending back. I love it. I bought this necklace from groupon as an Easter gift for my daughter. 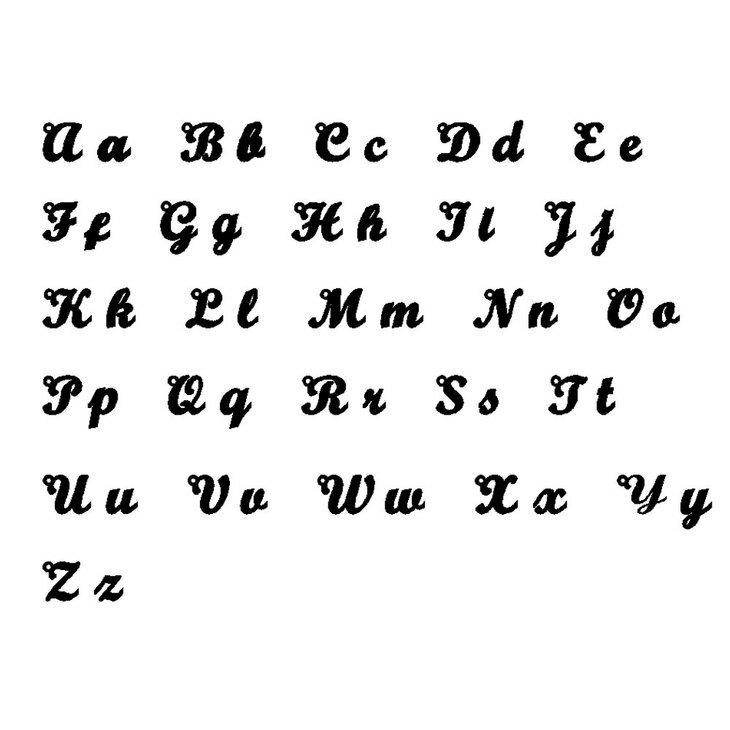 I have tonsoley admit, I thought the lettering and everything would be very small. However, upon receipt of the item, I was THOUROUGHLY impressed! It is so beautiful and perfect for my little girl! My mom saw it and now she wants one! And I even ordered one for myself! Have already bought again, and will DEFINITELY reccommend to others ! Got this for my step daughter she loves it. Very well made & arrived in a timely manner I would definitely order again. I absolutely love my necklace with my daughter's name!! It is beautifully done! Thank you! Love the necklace ive had it for over 3 months and its still beautiful! Looking forward for ur new addition. My local post office lost my package because it didn't have an apartment number on it, which they delivered it to god knows who. I then contacted Onecklace customer service and the agreed to resend my items to me. I was very thankful for that because they didn't hesitate to resend my items. I will definitely be buying from them again. I am 100% happy with my necklace. I just hope I don't have the same problem I had with my last necklace I bought from you guys. And that problem was that the clamp broke after a year from having it. Other then that I am very happy with it. I am beyond satistied with my purchase. 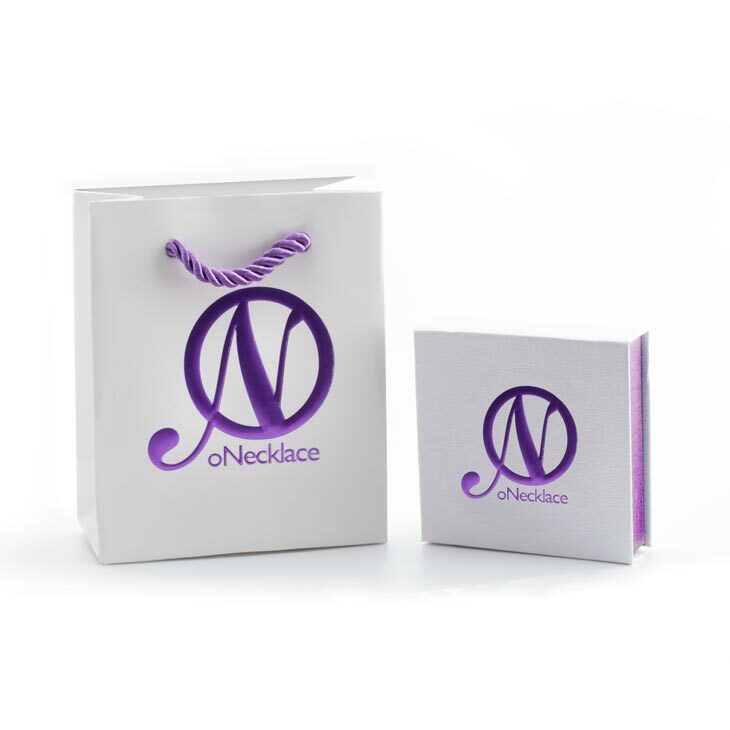 Everything about it was perfect, the price, the necklace, the customer service (wow).. I'm really happy and have received many compliments. 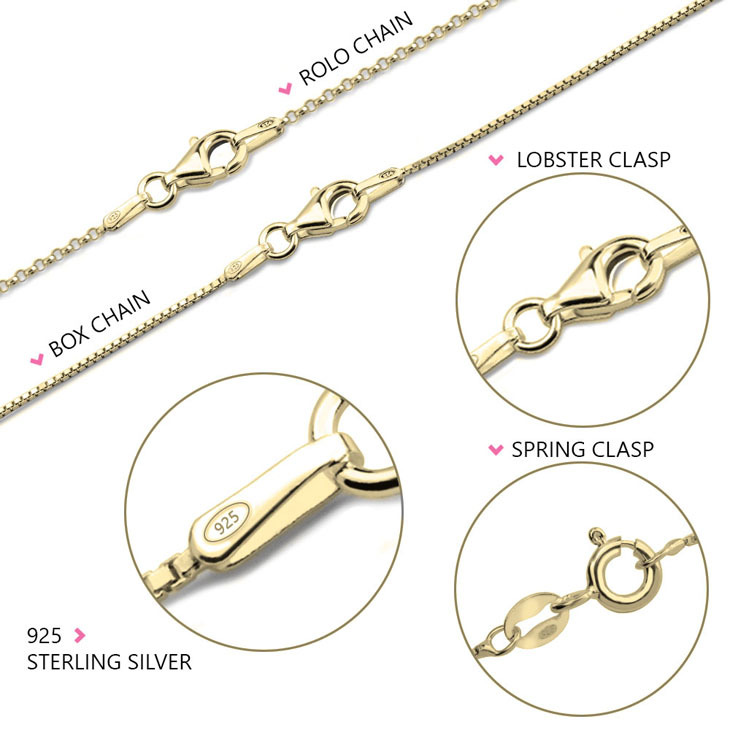 Will definetely repurchase from Onecklace. Customer service was so awesome. The necklace is beautiful. Can't wait for my next purchase. The size of the letters was too big. My daughter loved it. The necklace came in a very nice gift box.